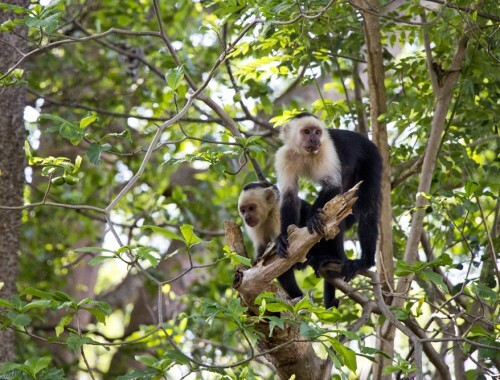 Ometepe is not dense with tourist attractions, but there are a few things on the island that are definitely worth seeing. Some are natural wonders like Ojo de Agua or Volcan Concepcion, others let you experience local culture and important customs. 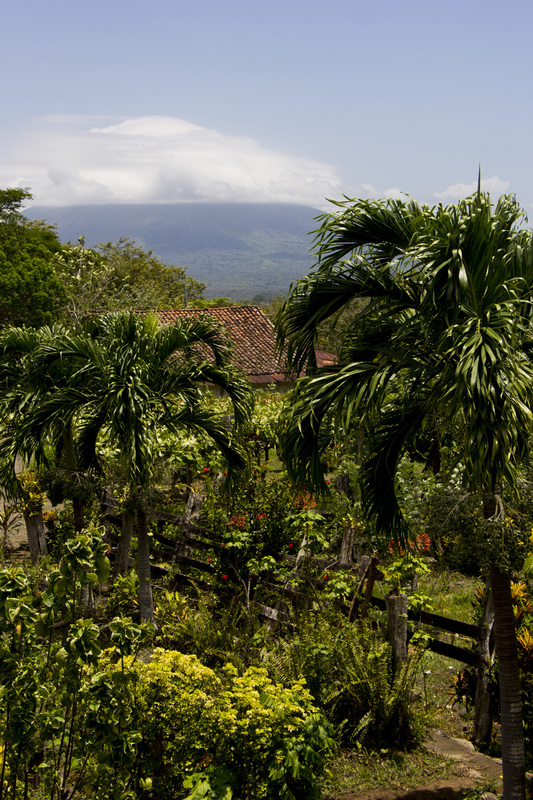 One of those things is a visit to the island’s coffee plantation Finca Magdalena. View from the cafe at Finca Magdalena. Concepcion in the background, capped with a cloud. 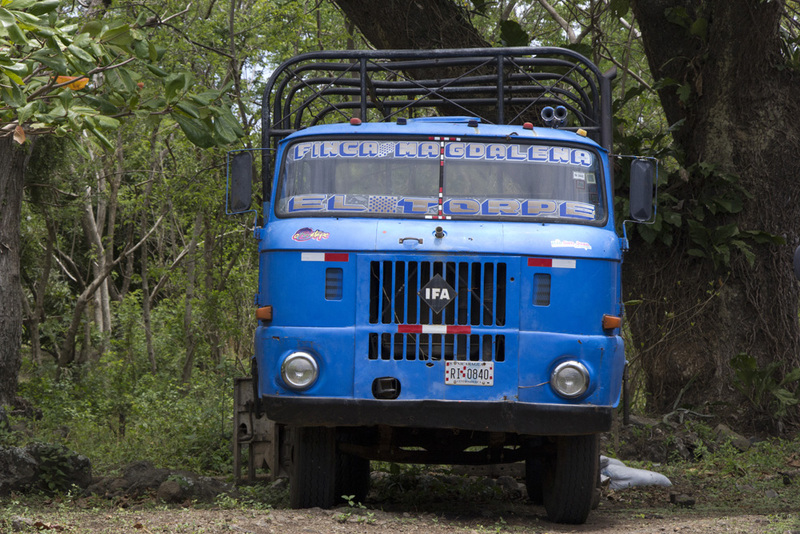 As Nicaragua sits in the right kind of environment for producing coffee, it’s not a surprise that many travelers make their way up to Magdalena. Not only is the coffee delicious, but supporting the local farmers and workers helps the Ometepe community in the best way. 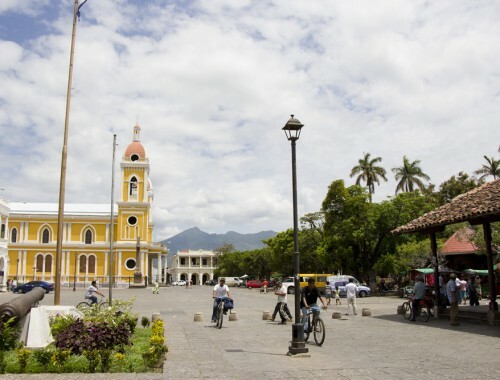 In fact, the Nicaraguan tourism board just recently introduced the Nicaraguan Coffee Trail in an effort to boost tourism income for local coffee farmers. It’s becoming a focus for the country. 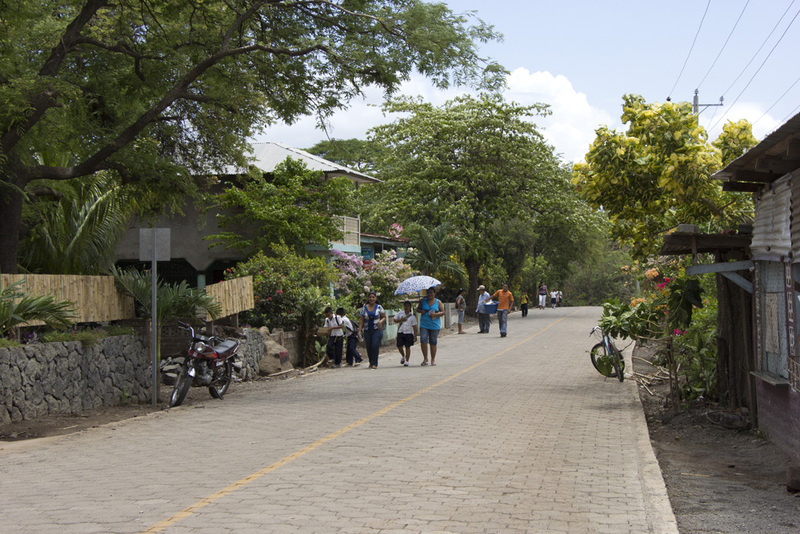 Getting to Magdalena is easy in a rented car or taxi, but is a more adventurous trip by foot. 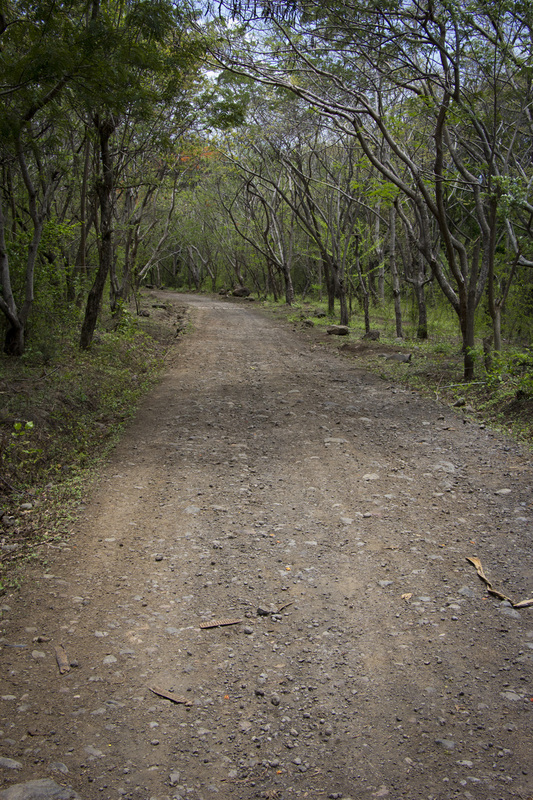 From the town of Balgue on the Maderas side of the island, a rocky dirt road leads up the steep hillside to the plantation. 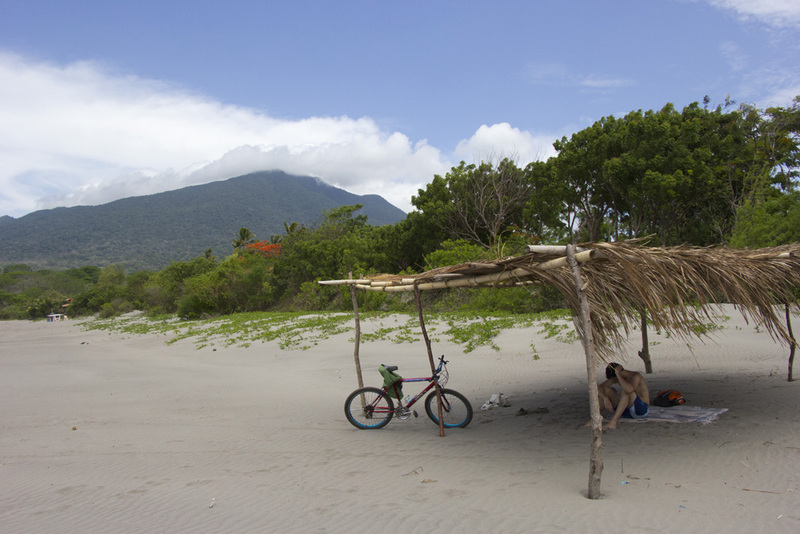 As our chosen method of transportation on Ometepe was bicycle (sans gears as most rental bikes have been rusted out) we rode from Santa Cruz to Balgue and peddled as far along the dirt path as possible before our legs gave out and we had to lock them up. The walk up the rest of the road was hot and humid, but ultimately well worth the effort. 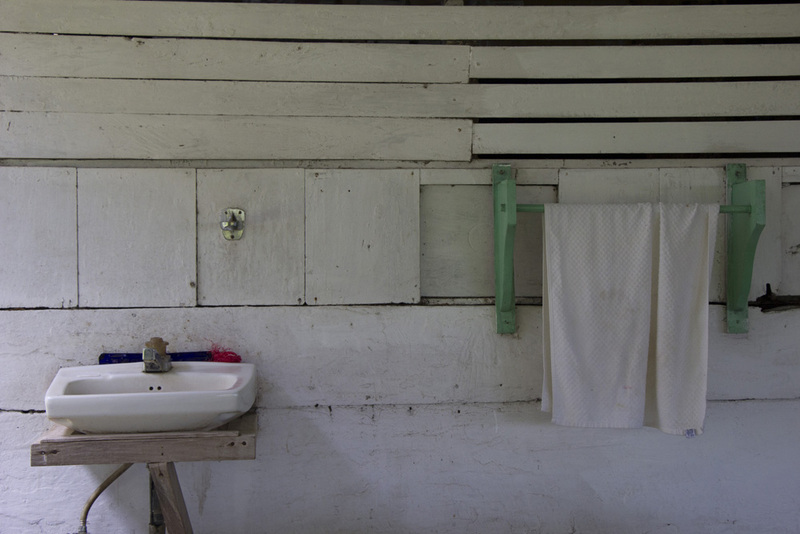 The main buildings at the plantation are humble – wooden and old, showing signs of age. 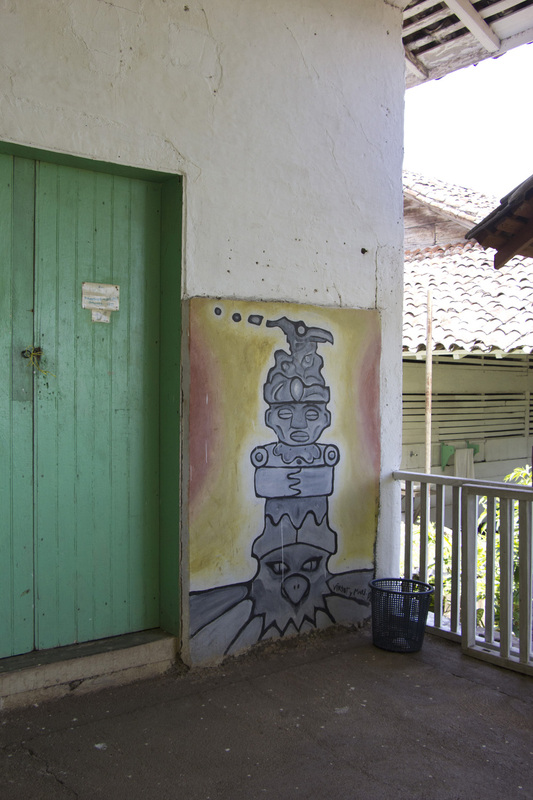 Murals and artwork are painted directly onto the exteriors, adding to their charm. One of the buildings serves as part of the coffee business and hosts a cafe out on the enormous porch deck. 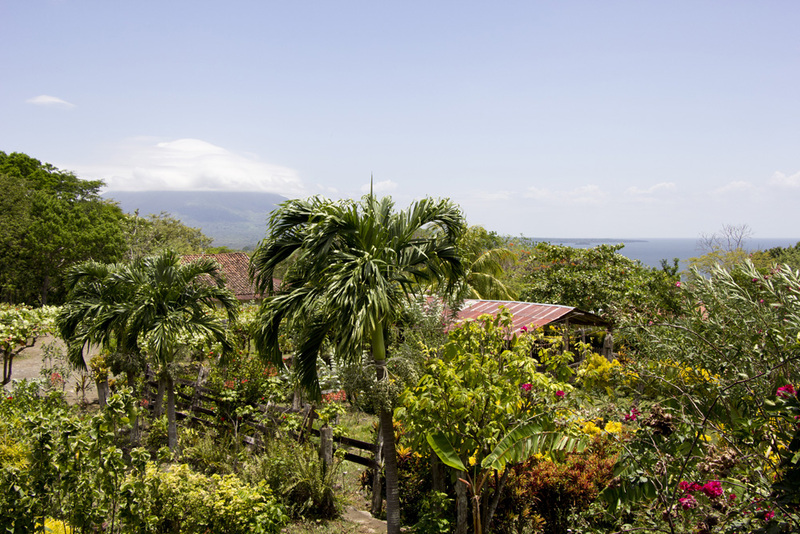 The views from each table sweep across Ometepe and Lake Nicaragua. The other building serves as budget accommodation for travelers – offering dorm beds and another porch deck for tent camping. It’s pretty rustic, but the night breezes and volcanic views make up for it. 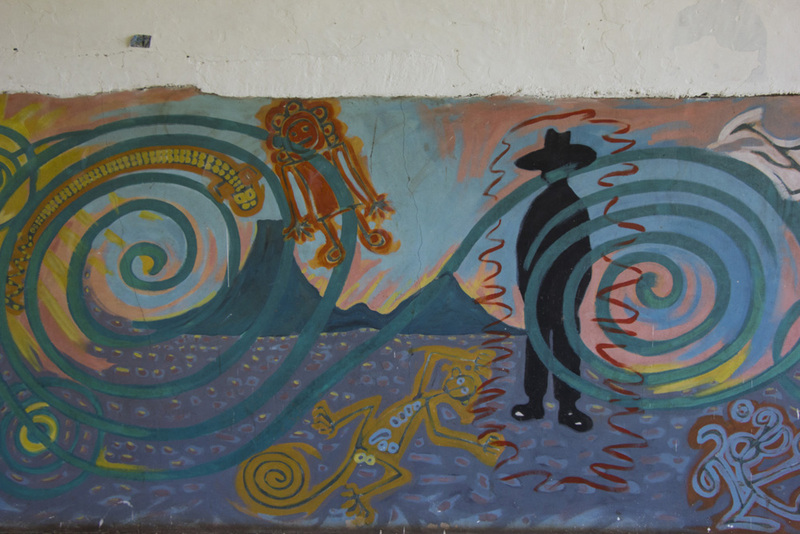 The day of our visit was roasting hot – probably the reason I showed up at Magdalena panting and with a tomato-red face. I was in no mood to tour the grounds in the heat of the day after hiking up the hill. 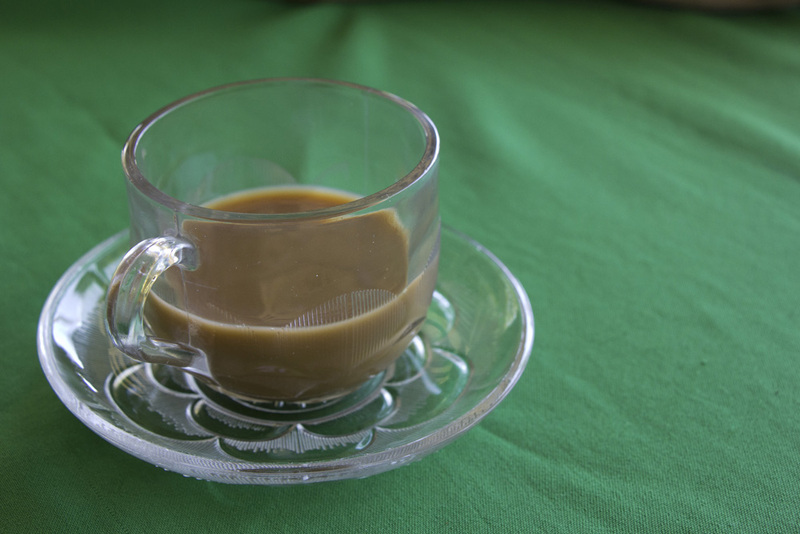 Instead, we settled in at a table overlooking Concepcion and the lake to indulge in some typical Nicaraguan foods and a nice cup of Magdalena coffee. With milk, of course. The coffee was smooth with a mild taste. I’m so used to drinking heavily roasted black coffee back home (made from serious drip machines) that the lightness of this cup took me by surprise in the best way. The caffeine gave me a non-jittery lift as a sipped it slowly. The softness was a statement in and of itself. 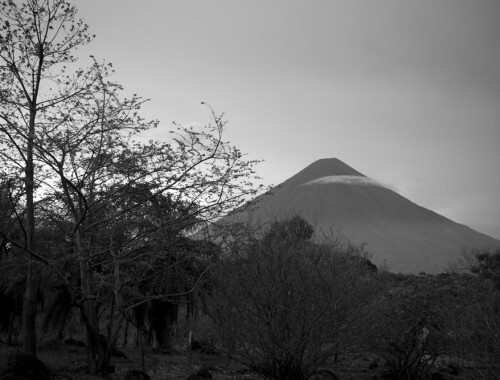 After paying for our meal and delicious coffee break, we headed back down from Magdalena’s perch on Volcan Maderas. Now, with caffeine in my system, I felt inspired to ride my gearless bicycle along the rugged path, through the rolling hills of Balgue to Santa Cruz, and back to the beach for an afternoon resting in the sand. And of course, dreaming of more coffee.